STEVEN DONZIGER: They’re just, in my opinion, completely off base. If there’s improper court proceedings it was done by the tribunal itself. I think we need to take a step back and understand the big picture here. The communities in Ecuador won the case in their home country courts because Chevron insisted the trial take place there and accepted jurisdiction there and promised to pay any adverse judgment. As the evidence in that case mounted against the company- and I’m talking about tens of thousands of chemical sampling results from water and soil samples that showed massive amounts of pollution that were and continue to cause a slow genocide in Ecuador to the indigenous groups. DIMITRI LASCARIS: I just want to focus on Canada. I was going to deal with that later, but since you mentioned Canada. So, just for the benefit of our viewers, you I are lawyers, and I want to make sure that the non-lawyers who are listening to this can understand. Rendered by the Ontario Court of Appeal, in your view, what was the legal impact on the Ecuadorian plaintiffs of that particular decision, and have you in fact been granted leave by the Supreme Court of Canada to appeal that decision? STEVEN DONZIGER: We’ve applied for leave and that application is pending. 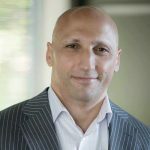 DIMITRI LASCARIS: Okay, so what is the legal effect, in your view, of the Ontario Court of Appeals decision on your clients? STEVEN DONZIGER: Well, it raises the issue in Canada as to once the judgment of Ecuador is enforced, if indeed it is enforced and we believe it will be, whether after that we can execute against assets owned by Chevron and Canada. So, Chevron is trying to raise a technical defense that even if we win the enforcement, we still can’t get anything at the end of it. We strongly disagree with that, it would be totally unfair, another example of Chevron’s forum shopping. And we expect to win the legal issue. However. If we do not win that legal issue, we will still go and enforce the judgment in Canada. And after that, we will see what we can do about getting Chevron’s assets either in Canada or taking the Canadian judgment that’s been validated by Canadian courts into to other jurisdictions where Chevron has assets, and enforcing the judgment there. DIMITRI LASCARIS: Okay, so let’s go back- thank you for that clarification. Let’s go back to the question I posed, what is your view about the legal effect of this arbitral decision? Is that something that is now going to pose a problem for you in countries like Canada in terms of enforcing this judgment? STEVEN DONZIGER: It shouldn’t by law because it’s irrelevant. I mean, this is why it’s irrelevant. Reason number one, and the most important reason, is the Ecuadorians were not a party to that proceeding. 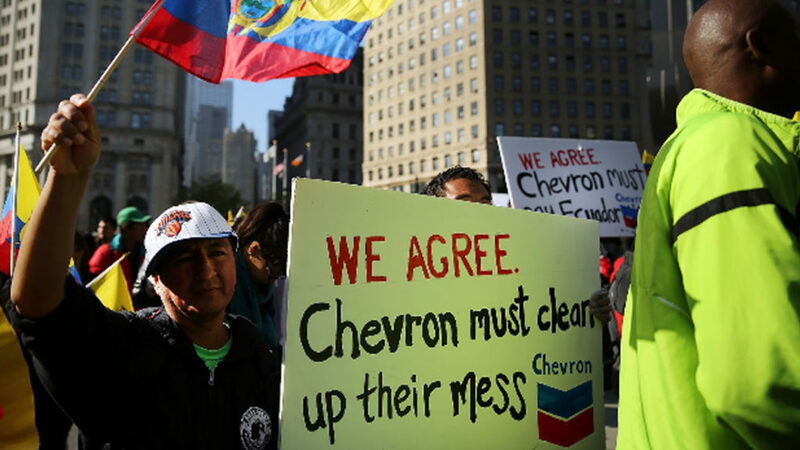 That was a proceeding between Chevron and Ecuador’s government. DIMITRI LASCARIS: You’re talking about the arbitral tribunal? STEVEN DONZIGER: The arbitration, the arbitration. STEVEN DONZIGER: You cannot take a decision- and this wasn’t a court, this is a private arbitration under a treaty, it’s not a public court, it’s held in secret. There’s no judges, there’s no transcripts. It’s all a secret proceeding. It’s really a real problem because it’s really a secret court for corporations, and I’ll explain that problem in a second. DIMITRI LASCARIS: We’ve been speaking today to Steven Donziger, who has been acting for Ecuadorian plaintiffs for approximately twenty years in a piece of epic litigation against Chevron, one of the world’s largest fossil fuel companies. Thank you very much for joining us, Steven. STEVEN DONZIGER: Thank you. Have a great day. DIMITRI LASCARIS: And this is Dimitri Lascaris for The Real News.